For detailed information on our course offerings, please select the course of interest to the left. "Practical, complete and informative," is the best way to describe our renowned Polished Diamond Course. Students will learn how to evaluate the famous 4Cs: Carat, Color, Clarity and Cut with hundreds of specimens, using the loupe and the microscope! But that's not all. The formation of diamond, the polishing of the rough stone, identification of imitations, synthetic and treated diamonds are only a few of the other topics addressed during classes. What is the identity of the specimen? Is the stone natural or synthetic? 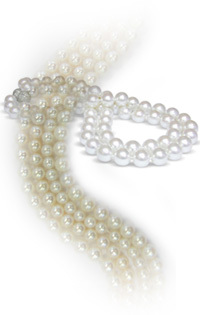 Is the stone treated or not treated? The Polished Diamond Long Distance Course is specifically designed for those unable to attend IGI's practical courses in Antwerp. The Long Distance Course teaches students the theoretical side of diamond grading enabling them to be more effective in their work, whether it be in dealing, promoting or selling gems. Students learn to judge the quality of a gemstone and answer critical questions. At the end of each chapter, students are required to complete a questionnaire and answer sheet. 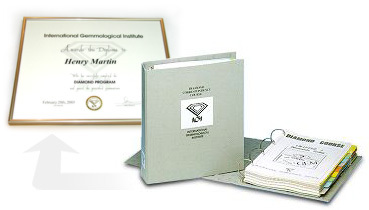 Upon successful completion of the course, which consists of 15 chapters, and a final examination, the IGI Polished Diamond Long Distance Diploma is awarded.